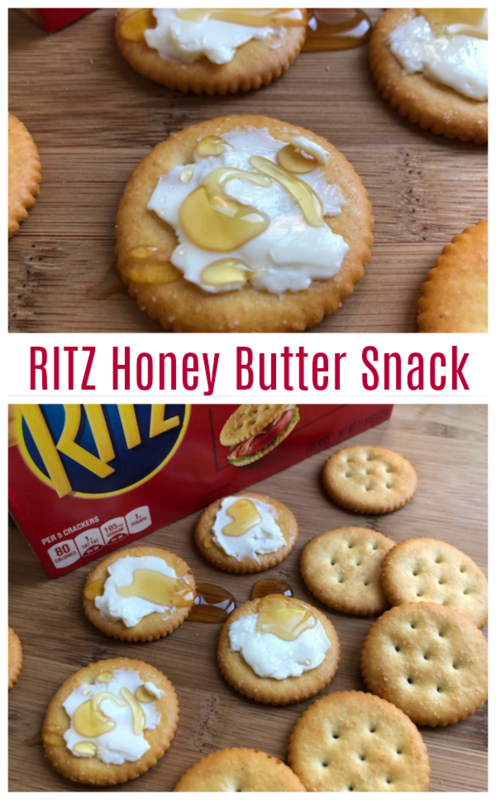 When it comes to after school snacks or ANYTIME snacks, it’s always RITZ Crackers for the win! While they are perfectly munchable all on their own, we also love to get creative and top them off. Some of our favorite toppings are cheese dip, sour cream, sliced meat and (for a sweet treat) a bit of butter and honey. It’s so delicious! 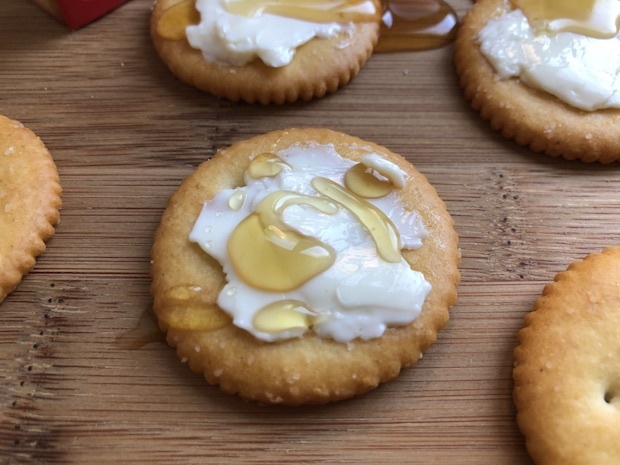 Not only are those topped RITZ Crackers delicious, but the act of coming up with new toppings and combinations is always fun. There are so many ways to experiment! 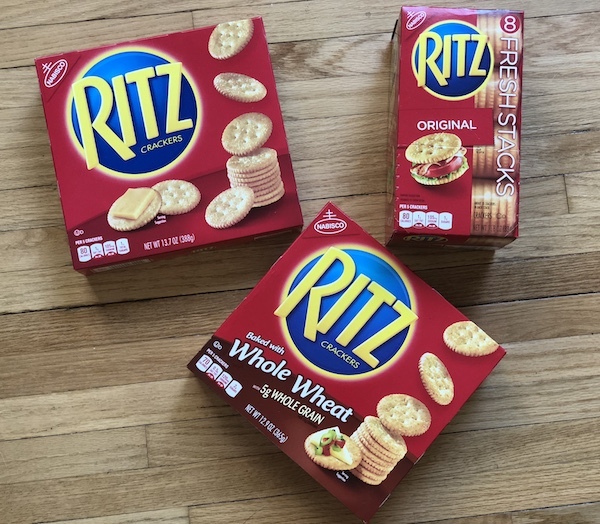 Right now is an extra-good time to experiment because there are two new Ibotta offers for purchasing RITZ at Walmart. 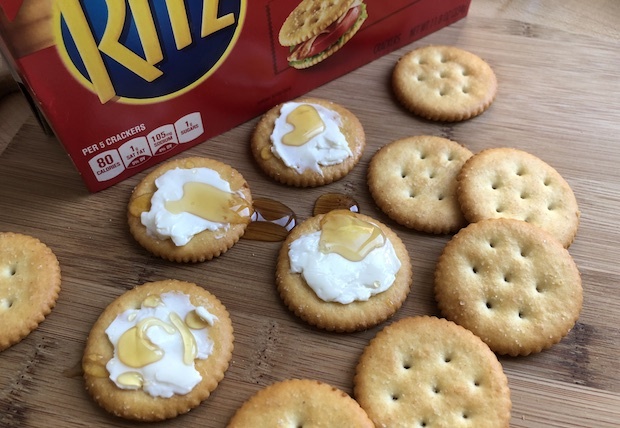 The first is for RITZ Classic Crackers and the second is for RITZ Fresh Stacks. Each offer gives you $.75 back on your purchase. If you purchase one from each category, you can claim both offers for a total of $1.50. Redeeming the offers is super easy. 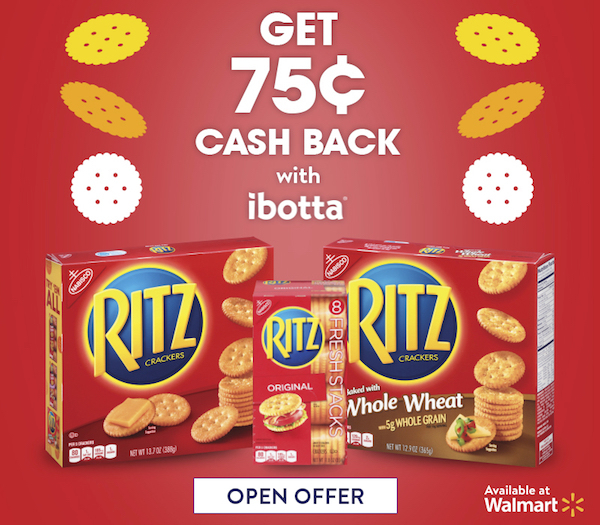 Just download the Ibotta app, buy RITZ at Walmart, then scan your receipt and the product code right into the app. Easy peasy! To celebrate this great offer, enter the RITZ at Walmart Sweepstakes! Prizes include Six (6) $50 Walmart Gift Cards & One (1) $200 Walmart Gift Card (Grand Prize). 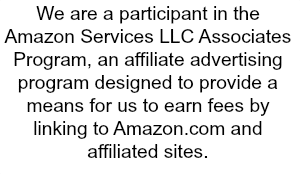 The sweepstakes run through September 25, 2018. Enter below. There is nothing like a ritz! Hi i will love to Wal-Mart gift card that would be very nice so I can shop till I drop thank u for ur time. This would make my day! !